The area, slashed by the River Tisza and its tributaries was densely covered in oak-forests and woods rich in fruit trees. The majority of the villages founded in the Árpád-era were built on clearings in the 11th-14th centuries. In the place enclosed by waters and swamps the system of small villages has remained since the Middle Ages. Those living here have been engaged in animal husbandry, sylviculture, food-gathering and fishing for centuries. The growing of grain crops and farming gained importance only after the river regulations in the late 19th century. The Upper-Tisza region has been continuously populated by Hungarians. In the forming of the region's culture Protestantism, spreading from the 16th century, and the peculiar combination of society have played a great role. 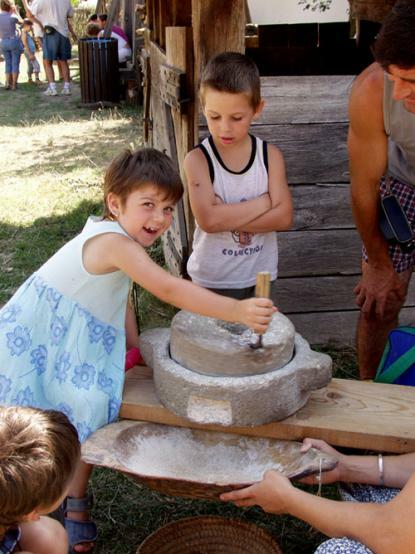 In Szatmár County the rate of rural gentry was extremely high (29% but in some places 75%). The way of life of the impoverished country gentlemen hardly differed from that of peasants. However, their influence was significant as they had a culture mediating role between serfs and gentlemen. The area took a prominent part in the formation of Hungarian history and civilization. It was a locale for wars of independence and religion; through its landlords (Báthori, Bethlen and Rákóczi families) it cultivated a vivid relationship with the flourishing Principality of Transylvania. It was the starting point of the Rákóczi War of Independence and the memory of Tamás Esze, a native of the land and his brave warriors still lives. Part of the local gentry actively participated in the reform movements of the 19th century and the 1848/49 War of Independence. Ferenc Kölcsey, author of the national anthem or Zsigmond Móricz, who authentically depicted peasant life were also born here. The population and economy of the region could not exploit the advantages of river regulations and the political transformations of 1848. Sticking to the old world, the gentry layer conserved the feudal system - latifundiums, lacking innovations. The new borders after the Trianon Peace Treaty cut the settlements from their previous administrative and market centres, there was no railway connection. Owing to this they preserved archaic elements of their way of life. This separation still has an effect on the region's culture and economy. The regional unit opened in 1974 presents a row of houses leading to the rural settlement. In the yards characteristic plants of the region can be found (plum, nut).